Pizza can be healthy! I made this one with a wholemeal flour. 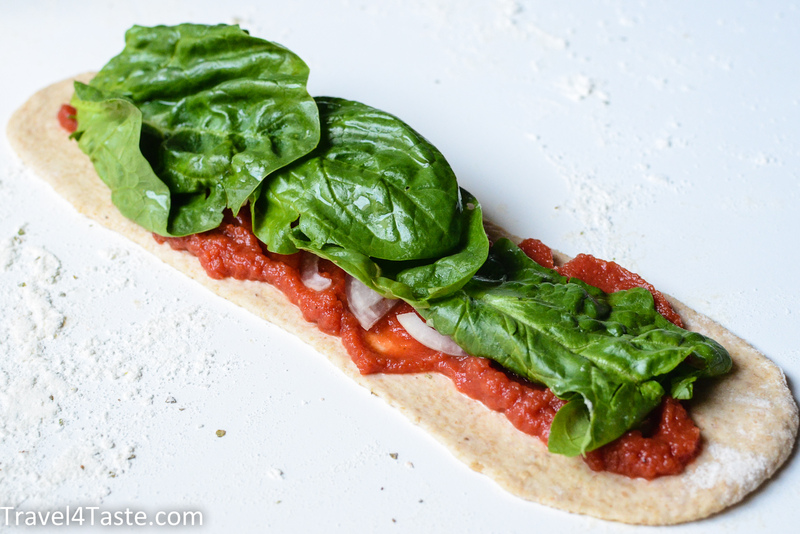 It is filled with tomato puree, onions and spinach! 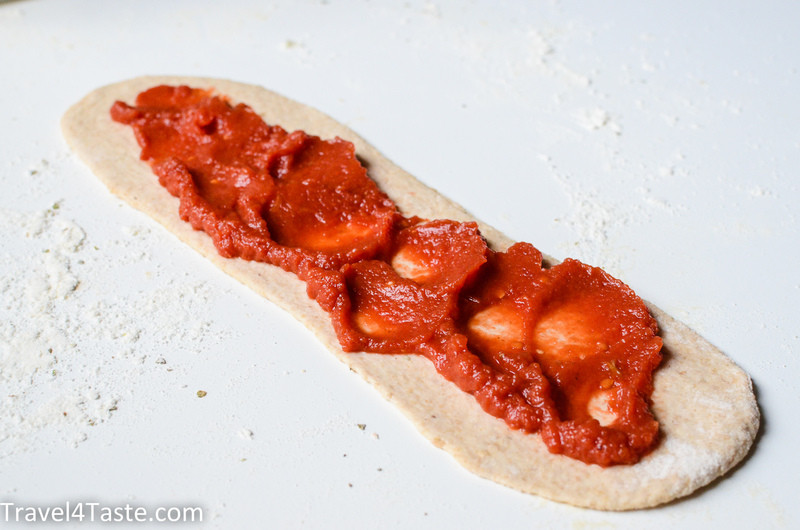 I used just a little bit of olive oil (only to prepare the dough!) and a little bit of cheese. This form of pizza lets you do more portions at once. It might come handy if your oven is small yet you have lot’s of friends coming over! 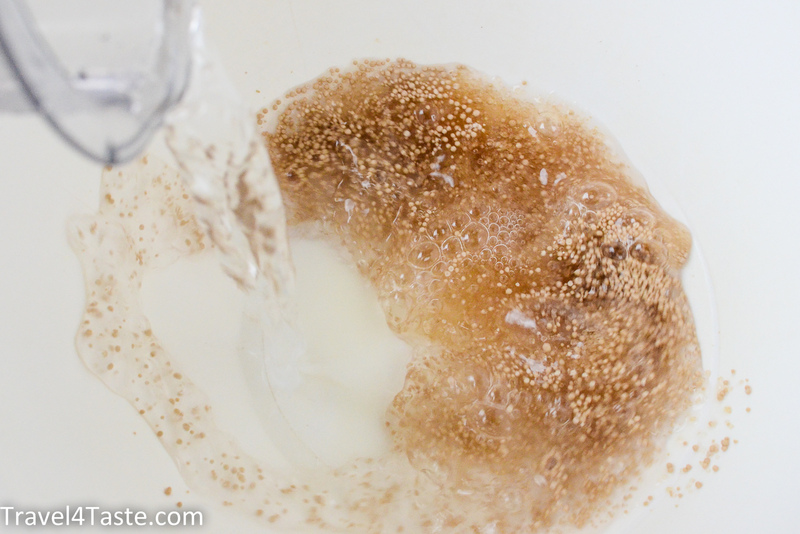 You need 15min of yeast activation (see 1. ), 45min- 1h first incubation time (see 4) and the final 30-45 min (see 7.). Yeast feel good between 25-30′C. 1. 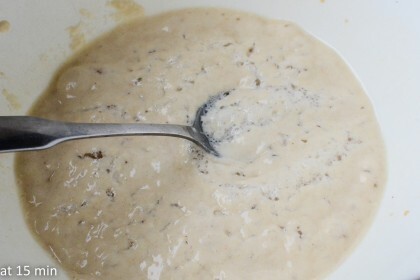 In a bowl mix yeast with warm (around 30′C) water, 1 tablespoon of flour and 1 tablespoon of brown sugar. Leave it in a warm place for 10-15min. 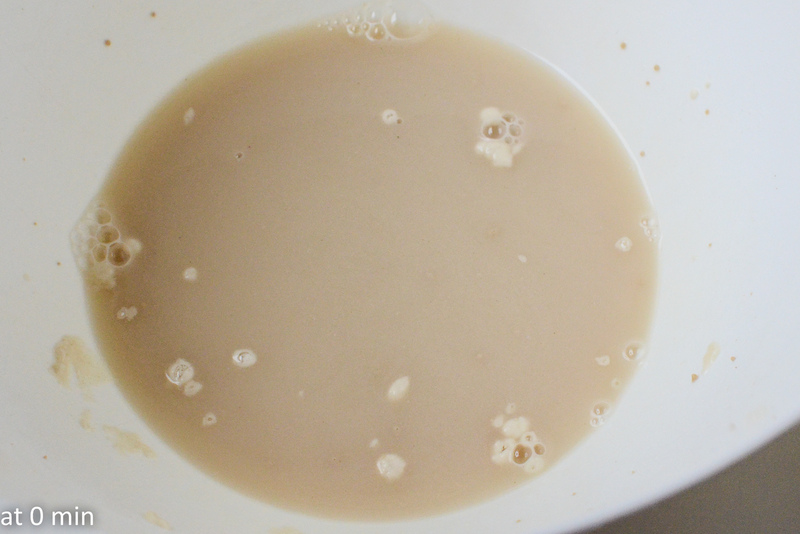 The yeast should start to bubble. 2. 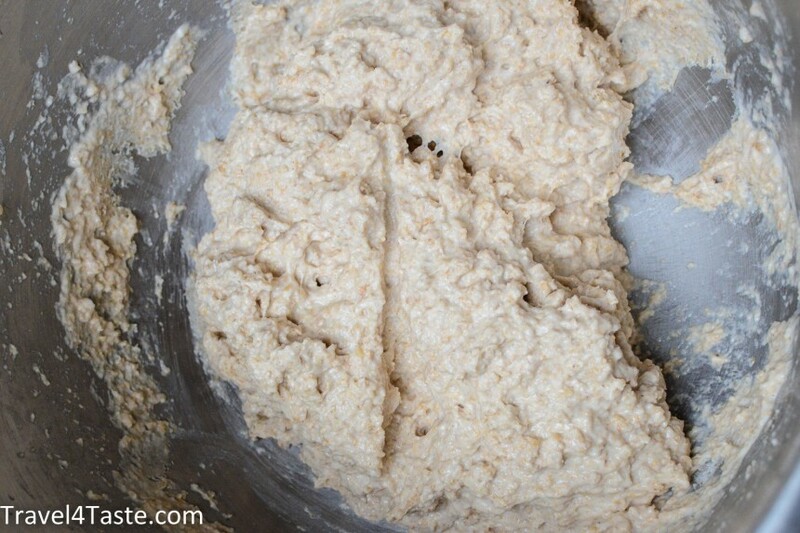 Add the yeast mixture to the flour. Mix well the dough. It will be quite sticky. 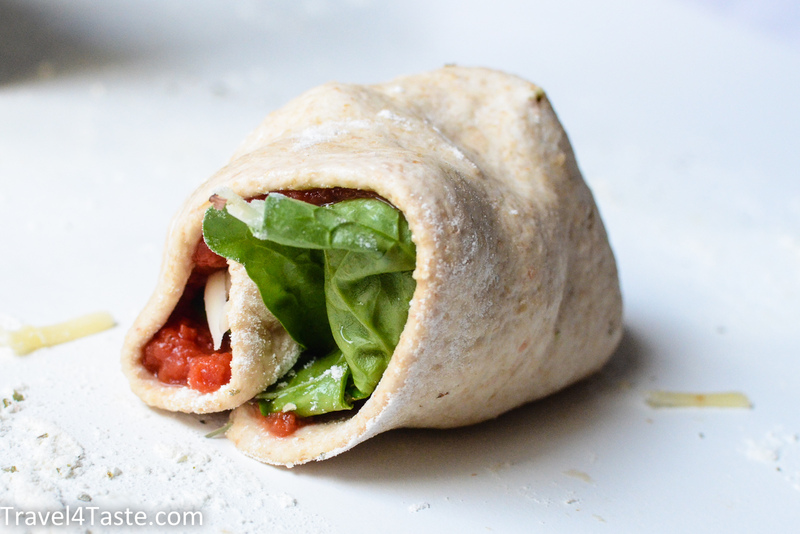 If you are also using wholemeal flour your dough won’t be smooth. It is normal! Mix it well using a wooden spoon or your food processor. 3. 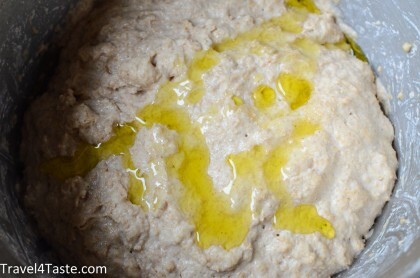 Sprinkle the dough with a bit of olive oil (to prevent it from drying) and cover the bowl with a towel. 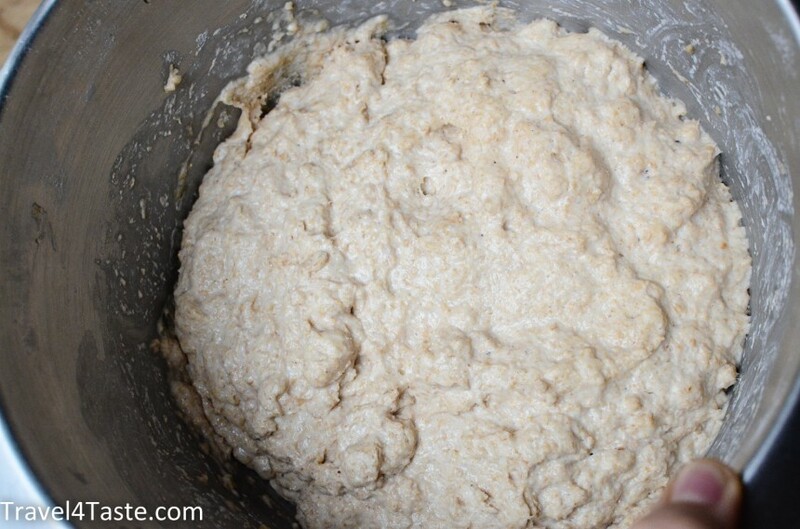 Leave the dough in a warm place for about 1h. During this time the dough should double its volume. 4. 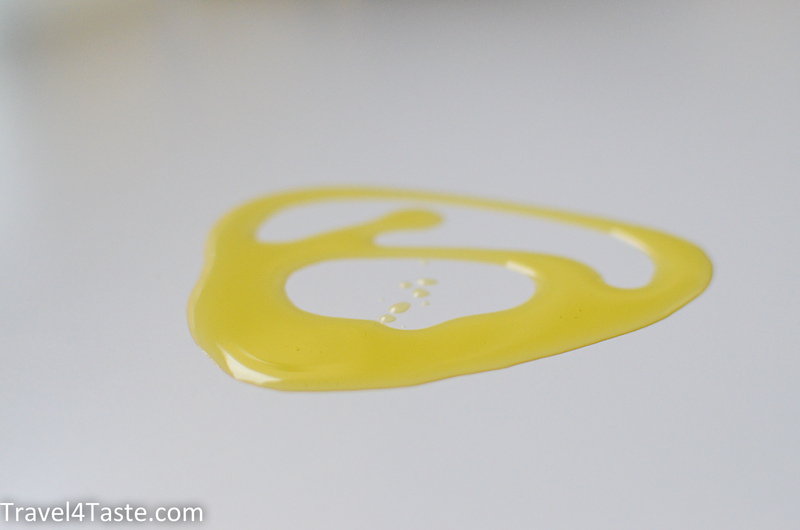 Pour some olive oil on your working surface and on your hands- it will prevent the dough from sticking! 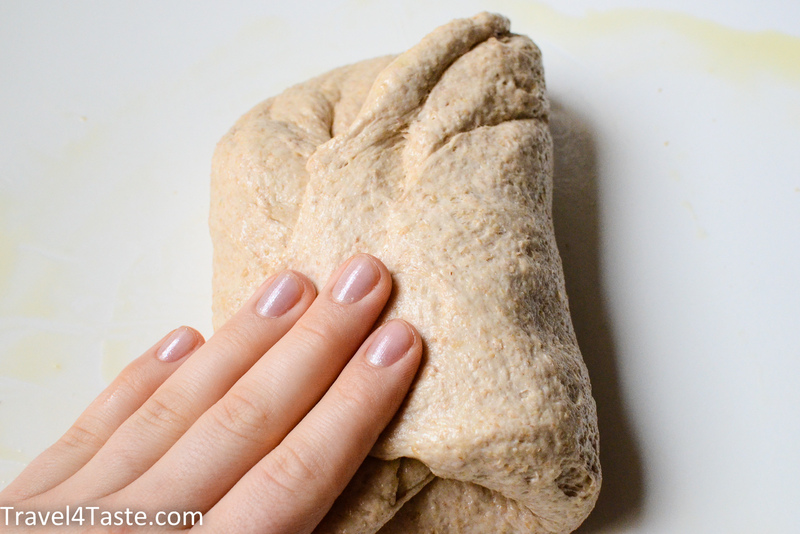 Knead the dough. 5. 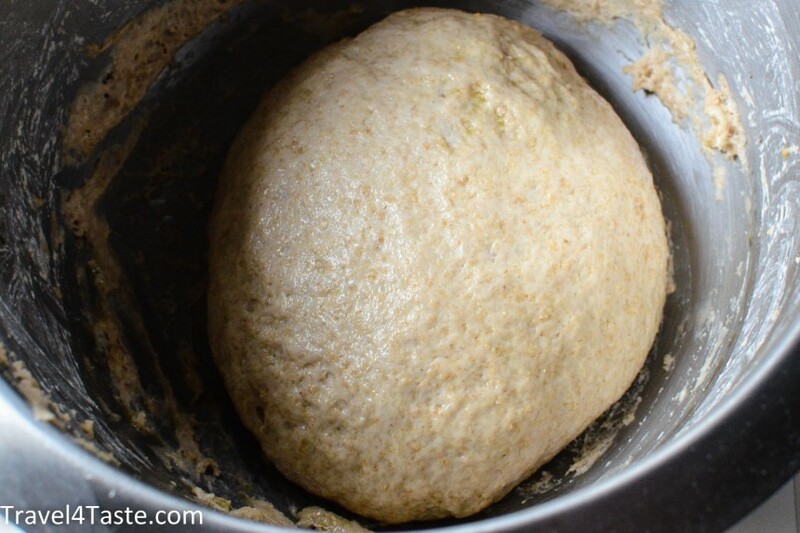 Form a bowl from the dough and leave for another 30-45min. 6. In a mean time prepare your tomato sauce. I use canned tomatoes. I blend them into puree and pour them on a hot frying pan (no need for oil here). Boil your tomato puree in order to reduce it (make it thicker). I add a pinch of salt and pepper to taste. Done! 7. After this time remove the dough from the bowl and knead it shortly (again use some olive oil to prevent it from sticking). Divide it into 6 parts. Roll each one into a long rectangle. 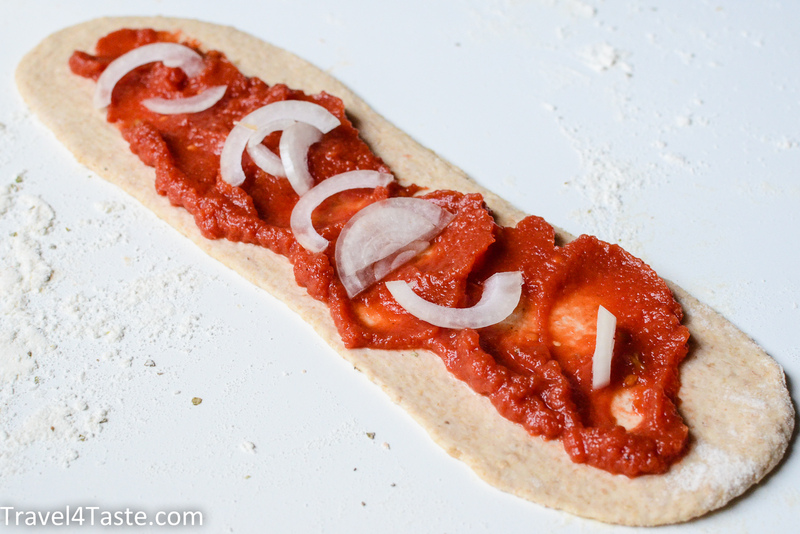 Put the tomato sauce and the other ingredients on. 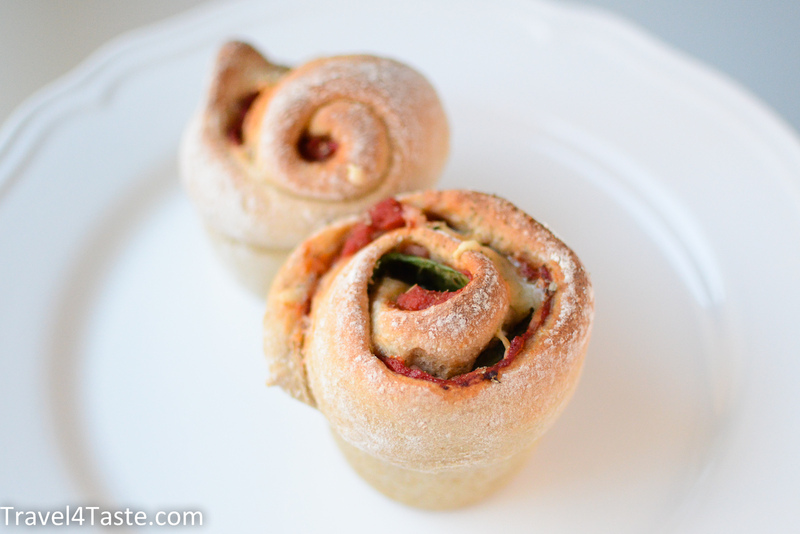 Roll it and put it into a muffin form. 8. Bake at 180-200′C for about 20-25min. Enjoy! 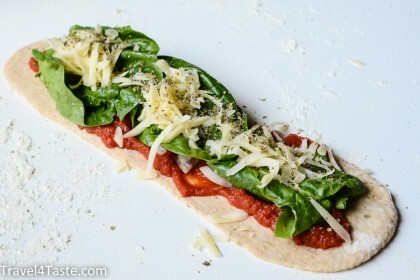 This entry was posted in Dinner, Healthy, Italy, Pizza, Snack, Vegetables. Bookmark the permalink. I found your blog through the lovely picture on Tastespotting and glad I did. Really nice blog and post, I luck forward to reading (and watching) more.